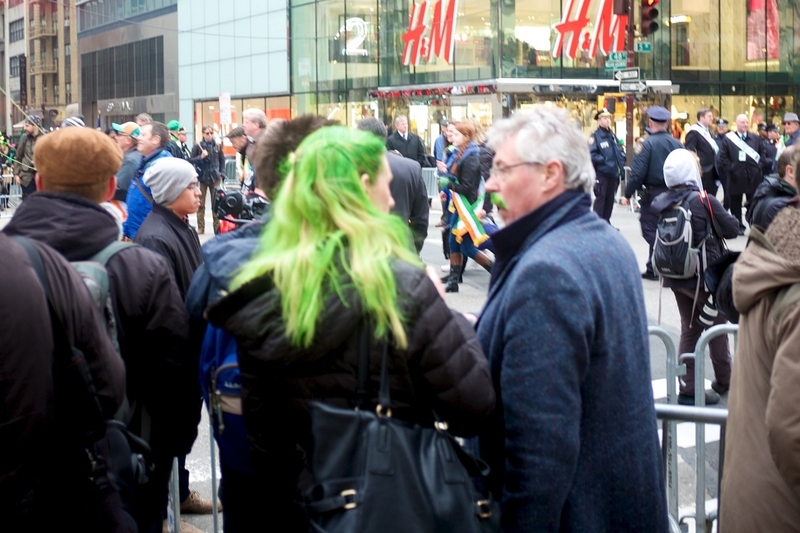 I walked over to the St. Patrick’s day parade and it was not such a great atmosphere for photography. There were so many barriers up it was a chore to move around. This soft focus image is the best I garnered. Her hair is nice, but to me his mustache makes the pairing and the image complete.